I wanted to do something a little different this week for Scented Saturday, something that I might do from time to time. 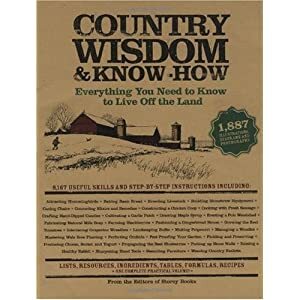 I recently came upon this fantastic series... Country Wisdom & Know-How: Everything You Need to Know to Live Off the Land . 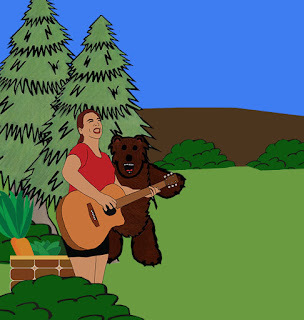 It has thousands of things you can do right down to making bat houses, homemade soaps, house repairs, gardening, kitchen herbs... it is FULL of information. Including tons of recipes for everything you could possibly want. So I bought this book, and the other 3 books in the series (Survival Wisdom and Know How; Garden Wisdom and Know How; and Natural Healing Wisdom and Know How) they are all pretty amazing and I recommend purchasing them if you are interested in sustainable living of any kind. These books are HUGE and have everything you need to know in them... so my point is... I was thinking that since they have quite a few recipes that on occasion I could post the odd one that I think might benefit you folks as a whole. I will still be doing the essential oil posts of course. This would just be an additional source of information.